Japanese Prime Minister Shinzo Abe begins on January 16 a two-day visit to Vietnam, the last leg of his first trip abroad in 2017. 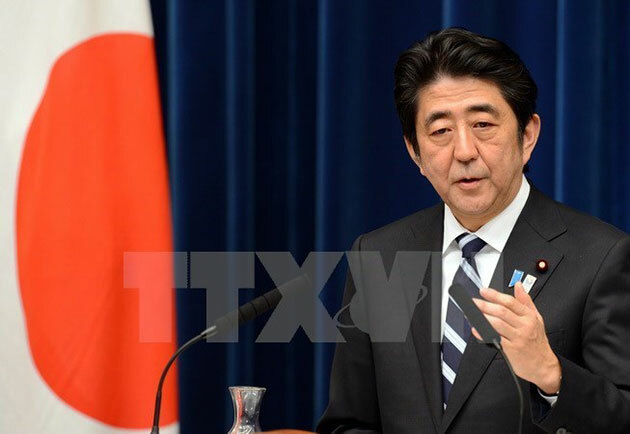 Prime Minister Abe and his spouse are visiting Vietnam at the invitation of his Vietnamese counterpart Nguyen Xuan Phuc after touring three other Asia – Pacific countries – the Philippines, Australia and Indonesia. The visit reflects the importance that Japan attaches to the extensive strategic partnership between the two countries and reaffirms Vietnam’s view of Japan as a key partner in the long term. The two countries will work together to strengthen political trust and push for further cooperation in various fields, including economy, trade, investment, official development assistance (ODA), as well as agriculture, education, human resources together with adaptation to climate change, labour, national defence and security./.